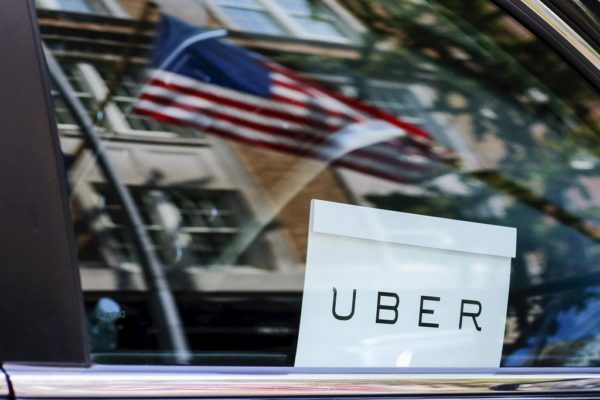 The midterm elections are right around the corner and Uber is stepping up to help riders find their local polling places on Election Day with a single tap. They’re also partnering with nonprofit organization When We All Vote to help get both riders and drivers registered to vote. Uber has also partnered with #VoteTogether and Democracy Works to provide riders with free rides to their polling places throughout the country. You can read more about Uber’s big election day plan here. The issue of student loan debt is a growing concern of people entering the workforce. The University of Pittsburgh has come up with a program to address this problem on their own with the announcement of a new, innovative program called Panthers Forward. 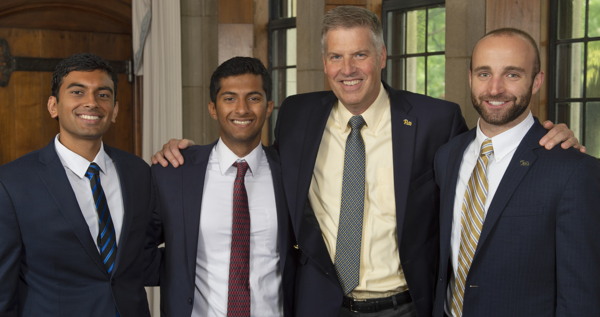 The initiative, led by Chancellor Patrick Gallagher, will accommodate a group of seniors who will graduate from the University of Pittsburgh campus this spring. Upon graduation, they will each receive up to $5,000, which the University will pay directly toward their debt. Graduates will then pay it forward to other Pitt students who are following in their footsteps. Since the participants will be under no contractual obligation to repay the University, the success of the program hinges on mentorship and networking opportunities. You can read more about the Panthers Forward program here. 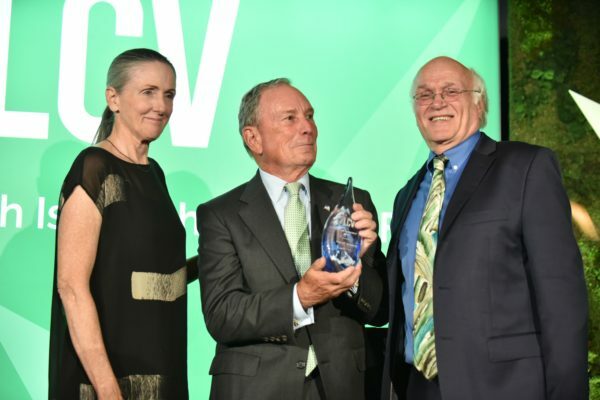 Mike Bloomberg has received the League of Conservation Voters’ Lifetime Achievement Award for his dedication to combating climate change in a ceremony on Tuesday, October 2nd. The League cites Bloomberg’s initiatives like America’s Pledge, the Bloomberg American Cities Climate Challenge, the Vibrant Oceans Initiative, and the Task Force on Climate-Related Financial Disclosures. Bloomberg announced plans to double his contributions to the LCV Victory Fund to $5 million. 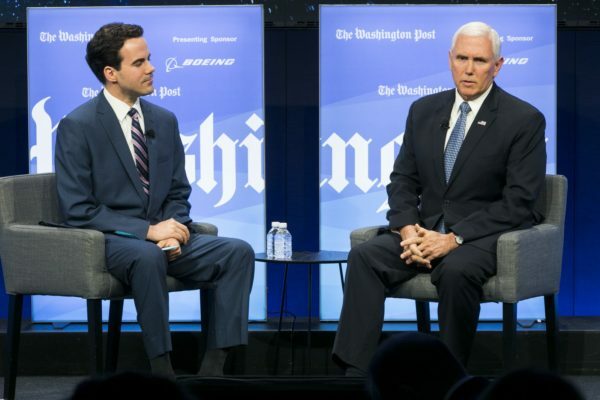 “Michael Bloomberg is someone who believes that we can make change and achieve progress through politics and elections — a philosophy that also motivates our work at LCV.” said LCV’s Gene Karpinski. Several of Michael Bloomberg’s friends and colleagues made a video thanking him for his help combating climate change including Sen. Ed Markey, John Kerry, Seattle Mayor Jenny Durkan, and Charlotte Mayor Vi Lyles, and Washington Mayor Jay Inslee. You can watch the video here. Per POLITICO, notables from the event included Diana Taylor, Sam Waterston, Larry Rockefeller, Bob Semple, Kevin Sheekey, Rep. Paul Tonko, Brady Walkinshaw, Kathleen Welch, Antha Williams, Cristobal Alex, Joe Bonfiglio, Carol Browner, Fred Krupp, Mark Magana, Scott Nathan, Rhea Suh, Rev. Lennox Yearwood, Gene Karpinski, Pete Maysmith and Tiernan Sittenfeld.